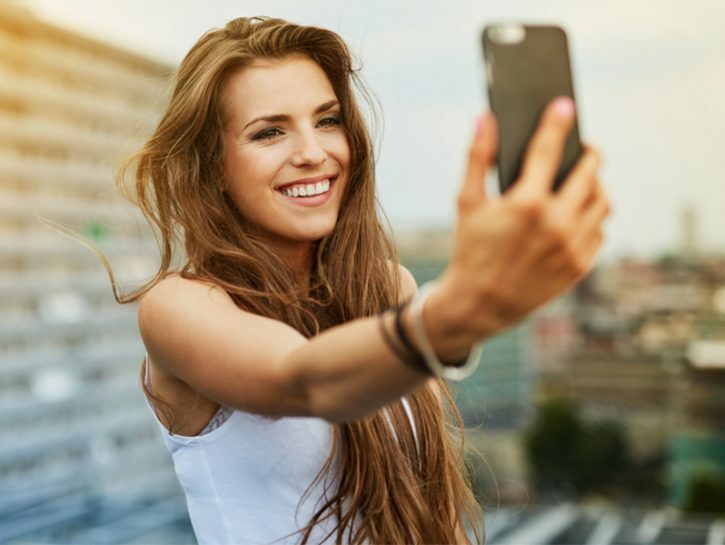 Our board-certified dermatologists in Jupiter are no different from anyone else—we like to take selfies at every opportunity and share them often on social media. There’s no denying that they’re fun and a great way to remember terrific times we’ve had and places we’ve been. But this trendy form of image sharing has begun to have an unfortunate effect. It seems more and more plastic surgeons are seeing a phenomenon they’ve begun calling “Snapchat dysmorphia”; that is, a kind of disconnect between what people are seeing in their filtered photos and what they see when they look in the mirror. As a result, people are flooding doctors’ offices requesting plastic surgery that can make them appear as they do in their pictures. “This is an alarming trend because those filtered selfies often present an unattainable look and are blurring the line of reality and fantasy for those patients,” wrote researchers in a recent article in the Journal of the American Medical Association’s (JAMA) Facial Plastic Surgery. The doctors, from Boston University School of Medicine’s Department of Dermatology, noted that the photo retouching technology that is widely available today provides anyone the ability to smooth out perceived imperfections in their social media photos. But the result can trigger dissatisfaction with one’s appearance in real life, possibly even leading to development of body dysmorphic disorder (BDD), a mental health condition that leads a person to obsess about a minor flaw in the way they look. This all stems from such features as the “beauty” filter, which has the ability to make you look as airbrushed-to-perfection as any fashion magazine’s cover model. And the doctors note that these filters now seem to make the disconnect seem more immediate. “Now, it’s not just celebrities propagating beauty standards: It is a classmate, a coworker, or a friend,” they write. Another related phenomenon are requests to repair “imperfections” that people perceive in their selfies. One plastic surgeon recently wrote a guest column in The Washington Post noting the upsurge in requests for plastic surgery from clients who think they look terrible in their selfies and want to fix what they think is wrong with them. His solution? He takes a photo of prospective clients with professional lighting from a reasonable distance (i.e., not at arm’s length). The result, he wrote, convinces hundreds of his potential patients that they don’t need an operation. There’s nothing wrong with wanting to look your best at all times. That’s why we offer such minimally invasive procedures as our revolutionary new Halo hybrid fractional laser, Ultherapy, Botox injections, and Platelet-Rich-Plasma (PRP) therapy, among others. Our procedures are designed to enhance and restore your natural beauty, while allowing you to retain your unique appearance. It’s important to know the difference between unrealistic images of oneself and what you were born with. When you come to us for a consultation, our experienced dermatologists in Jupiter will help you decide which cosmetic procedures are best suited to you.